The provincial government recently announced that beginning in September 2018, and until the release of a revised elementary curriculum, school boards will be utilizing The Ontario Curriculum, Grades 1–8: Health and Physical Education, Interim Edition, 2010. School boards and teachers are required to teach this curriculum as mandated by the government. As always, safety, well-being, and inclusion remain priorities of the Rainy River District School Board. 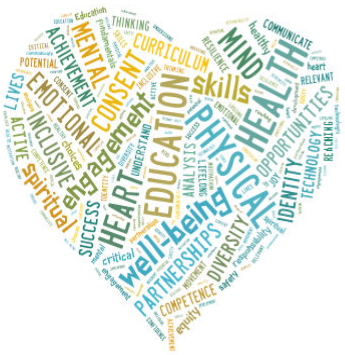 We will use all of the resources available to us to continue to support the well-being of all of our students. Topics such as online safety and responsible use of the internet will continue to be taught as part of the Language Arts Curriculum. The Rainy River District School Board will also continue its focus on equity and maintaining inclusive, welcoming environments for all students. We also value the vital partnership with parents in supporting student success. Please visit http://edu.gov.on.ca/eng/curriculum/elementary/health.html to access the Ministry of Education’s current HPE curriculum documents and parent resource guides, as well as Frequently Asked Questions. We believe that the first step to resolving concerns is at the source. Should you have any concerns or questions about the curriculum, please speak to your child’s teacher and/or principal. Thank you for your ongoing support of your child’s education as schools work to ensure all students are healthy and safe.